Our extremely mild and richly foaming formula deeply cleanses and nourishes even the most sensitive skin with pure and soothing botanicals. Refreshing Peppermint works synergistically with healing Tea Tree to refresh and restore skin radiance. Cool soothing Peppermint awakens skin; Tea Tree protects and restores skin balance. Gentle coconut cleansing complex creates a mild and gentle foam. pH Balanced and Biodegradable to clean without drying hands. EO®Hand Cleansing on the go. Organic Peppermint Essential oil is cooling and cleansing. Lavender Essential oil is soothing and cleansing. Soothing Jojoba Oil nourishes and moisturizes. For healthy hands: Put a small drop in your palm and rub your hands together until they’re dry. A nourishing and protective moisturizer that applies easily and is quickly absorbed leaving skin smooth and soft. Refreshing Coconut and Vanilla with tangerine lightly nourishes and refreshes skin. Tangerine refreshes and uplifts; Coconut and Vanilla pamper skin. Oat Betaglucan moisturizes and soothes irritated skin and promotes skin firmness. Rice Proteins penetrate deeply to diminish fine lines. Vitamins E improves skin elasticity with powerful antioxidants. Mango Seed Butter and Olive Wax moisturize and protect skin. Organic Jojoba Oil lightly conditions skin restoring softness naturally. Organic Calendula, Chamomile and White Tea botanicals harmonize and nourish skin. EO® Cleansing Wipes the organic, plant based alternative to chemical laden hand wipes. All-purpose. Cleans and sanitizes hands. EO Natural bamboo wipes are moistened with Pure Essential Oils and Organic Aloe Vera to cleanse and moisturize gently and naturally. French Lavender nurtures and soothes naturally. Organic Chamomile, Calendula and white tea botanicals harmonize and replenish skin. Made from nature’s most sustainable resource, these wipes are 100% biodegradable. EO is a family-run business that I wholeheartedly trust and support! Good luck! The winner will be selected one week from today randomly from entries. We love EO (I know, I know, we already said that! ), and you will too! please give us “facebook holdouts” a chance to win this great prize as well! “Liked” both!!! Love the EO brand and products. I ‘liked’ both! Thanks for the giveaway! I like EO on Facebook as Debbi Otto Wellenstein. I’ve liked both! Great contest!! I liked both on Facebook! And I could really use some more EO lotion! I love EO’s products and like them on facebook. I just liked Eco’s child play on facebook. I “liked” both sites on facebook, but I “love” the Peppermint and Tea Tree Oil hand soap! I liked both on Facebook. I never tried these products but would love too!!! Liked both on FB and love the EO products! Would love to try EO! Thanks! I have “liked” EO for a while now, lust read about Eco Child’s Play and I ” liked” it as well. I liked both on Facebook. 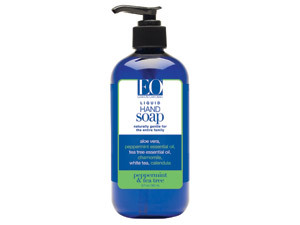 I have tried the Lavender Hand Soap and love it! I like EO Products and Eco Child’s Play on facebook as Alison Faith Tolar. I liked them both – love the products I’ve bought and would love to try these too! Thank you for your products and I like both! I liked both. Thank you. I liked EO and Eco Child’s Play on Facebook. I liked them both on facebook. I like both on you on facebook! stephanie a…. I like EO on fb: Kimberly Hilbert. I like eco child’s play on FB: Kimberly HIlbert. I have liked you both on fb. My name is my id. liked both on fb ty.